In this Friday, March 22, 2019 file photo, New Zealand Prime Minister Jacinda Ardern, center, waves as she leaves Friday prayers at Hagley Park in Christchurch, New Zealand. Ardern was hailed around the world for her decisive response to the two mosque shootings by a white nationalist who killed 50 worshippers. For many Muslims, her most consequential move was immediately labeling the attack an act of terrorism. 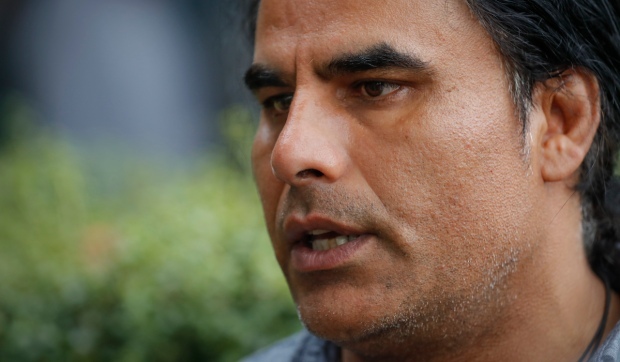 Community leaders and researchers say that for too long, terrorism was considered a "Muslim problem" and that a double standard persists when the attacker is white and non-Muslim. 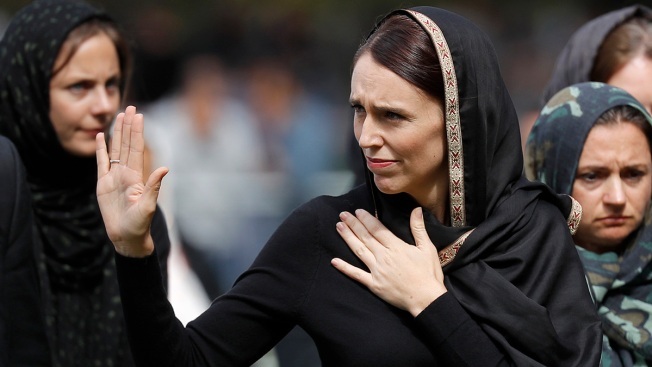 New Zealand Prime Minister Jacinda Ardern has been hailed on social media by Muslims around the world for her response to two mosque shootings by a white nationalist who killed 50 worshippers. She wore a headscarf at the funerals in line with Islamic custom and swiftly reformed gun laws. "I think it needs to be seen as ... a symptom of a wider problem, a transnational rising threat of white supremist violence where anti-Muslim rhetoric is the oxygen for this movement," she said. Some of the most notorious recent attacks by white assailants with racist or extremist views— the Pittsburgh synagogue shooting that killed 11 people in October and the church shooting that killed nine black worshippers in Charleston in 2015 — were not labeled terrorism and the assailants were not tried as terrorists. Neither was the shooting by a white assailant at a mosque in Quebec, Canada in 2017 that killed six Muslims. 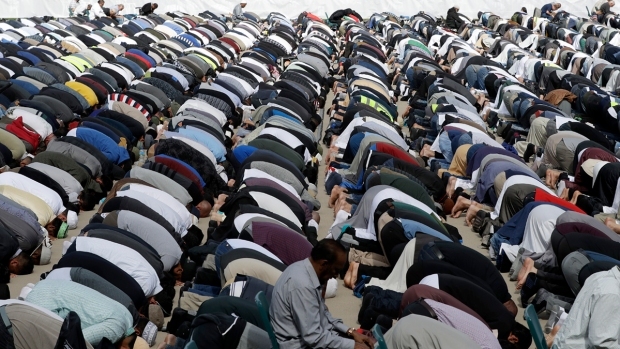 Meanwhile, sectarian, cultural and ideological differences among the world's Muslims complicate efforts to uniformly push back against negative stereotypes — including the perception by some that Islam condones or encourages violence. Las week, Turkish President Recep Tayyip Erdogan stirred controversy when he was seen as politicizing the New Zealand attacks to galvanize Islamist supporters during a campaign ahead of municipal elections. The attacker had livestreamed the shootings on social media, and Erdogan screened clips of the attack— despite New Zealand's efforts to prevent the video's spread.